The trade of brick laying has been in our family for five generations, and we still use the original methods today. It is not common practice for brick restoration specialists to learn the authenticity of the trade; yet it is these skills that best conserve the historical fabric of a building, and produce durable restorations. Architects have said that using original methods of jointing is mandatory, particularly on older buildings. 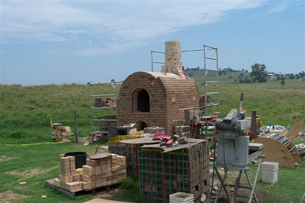 Contemporary methods of brick restoration use higher cement content in their mortar mix than traditional mixes. These higher contents can cause cracking in buildings and place stress on the face of the brick, which we avoid by using traditional mortar mix with lower, or no cement content. We also use traditional hand tools and power tools if approved, implementing safe methods to avoid brick damage.